Buying a fine stringed instrument can rarely be done online. Even with a fine and high-value instrument, establishing a long-term relationship with the seller matters. In our digital world, some of most rare and fine musical instruments can be seen and perhaps heard at the touch of a tablet screen or the click of a mouse. 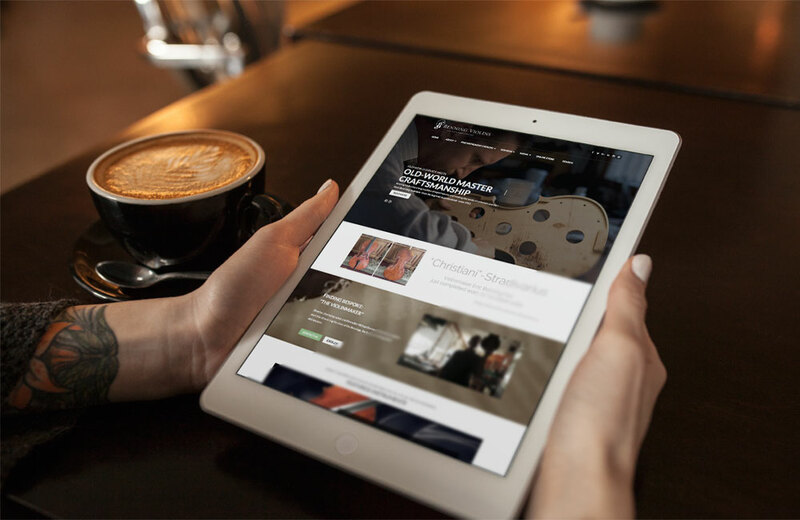 And for those looking to sell or looking to purchase a violin – even those stringed instruments priced well above $10,000 U.S. – the Internet does make the process easier. But does buying cellos, violas, bows and fine violins online make sense for something so physical, delicate and intimate? It is one thing to buy a performance by violinist Itzhak Perlman on iTunes for 99 cents; it’s quite something else to acquire a violin in the category of the “Soli” Stradivari that Perlman famously purchased for $1.25 million. In fact, there is a very broad range of violins that one can purchase, from elementary student violins on through what the serious college-bound violinist might buy up into the ranks of what players of the caliber of Perlman, Joshua Bell, Hillary Hahn, Midori Goto and Maxim Vengerov might wish to play. 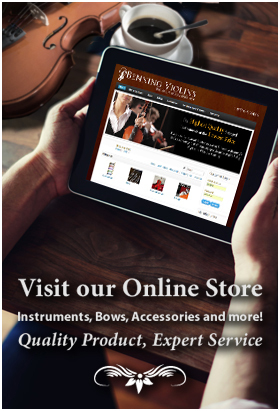 Benning Violins was founded by Benning’s grandfather, a family tradition followed for more than six decades. Benning splits his time between constructing new instruments and selling and renting instruments. Their customers range from accomplished professionals across the globe, but they also maintain a rental program for beginning students. “It’s nice for younger people to encounter the larger violin community in our store,” he says, noting that other violin retailers might instead cater to one end of the market or the other. Still, as it is for many other components of music, fine art and valuable instruments, shopping online is often a starting point. Benning advises that the best experience for any shopper is to ultimately hold the instrument in the hands and play it before purchasing it. For this reason, his company treats International purchases on an “on approval” basis, accepting returns if the musician is dissatisfied.